Soil and water are the lifeblood of any farm. Keeping them in place and healthy supports productive crops and pastures. That’s not always an easy task in the rolling hills of Southwest Wisconsin. Increased pressure from economics, regulations, floods, and drought also create unique challenges. Luckily, conservation and profitable farms can go hand-in-hand. We’re here to help . 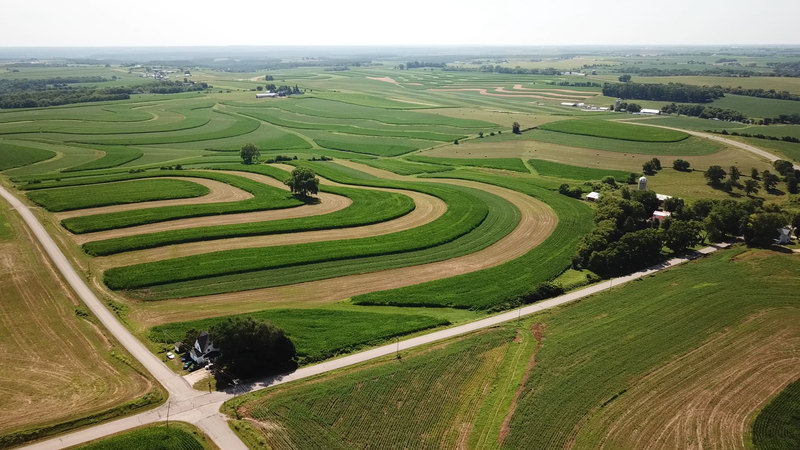 The Iowa County Land Conservation Department is here to assist rural landowners with conservation of soil, water, and other natural resources. We can provide information, technical assistance, cost-sharing, and an income tax incentive for farmers that implement soil, water, and nutrient conservation practices. Agriculture has deep roots in the history, character, and economy of Iowa County. Together we can maintain productive farms, clean water, and rural beauty of Iowa County for generations to come. For information on the Southwest Wisconsin Groundwater and Geology Study, see this handout or visit the SWIGG website.